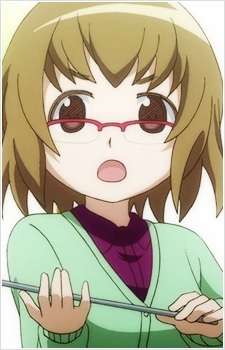 Kazuko is Madoka's class teacher. Her relationships with guys don't last very long, and so she's extremely frustrated in these regards. Many of her classes involve her complaining about men. She also seems to be a friend of Junko Kaname, Madoka's mother.